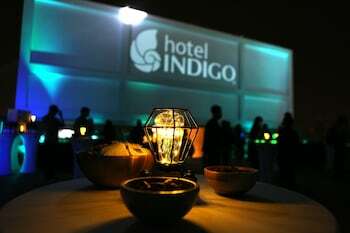 With a stay at Hotel Indigo Kaohsiung Central Park, you'll be centrally located in Kaohsiung, within a 15-minute drive of Kaohsiung Museum of Fine Arts and Dome of Light. Featured amenities include complimentary wired Internet access, complimentary newspapers in the lobby, and a 24-hour front desk. For a surcharge, guests may use a roundtrip airport shuttle (available 24 hours) and a train station drop-off service. With a stay at Belle Song Motel in New Taipei City, you'll be 10.9 mi (17.6 km) from Chiang Kai-shek Memorial Hall and 7 mi (11.3 km) from Longshan Temple. Free self parking is available onsite. When you stay at Lis Hostel in Taichung, you'll be near the airport and 9 minutes by car from Hungkuang University. Featured amenities include luggage storage and laundry facilities. Located in Hualien (Hualien City Centre), 211 homestay is convenient to Hualien County Stone Sculpture Museum and Hualien Railway Culture Park. With a stay at Hot Spring Holiday Inn in Jiaoxi, you'll be just steps from Jiaosi Hot Springs and Tangweigou Hot Springs Park. Free self parking is available onsite.